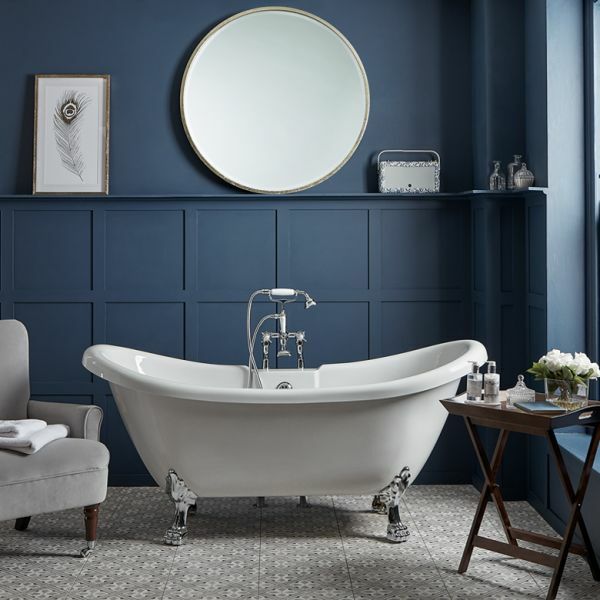 This traditional 1700mm freestanding luxury double slipper bath will create a centrepiece in any bathroom. The smooth acrylic finish offers great strength and thermal properties as it retains heat. Use with either freestanding or deck mounted bath taps. 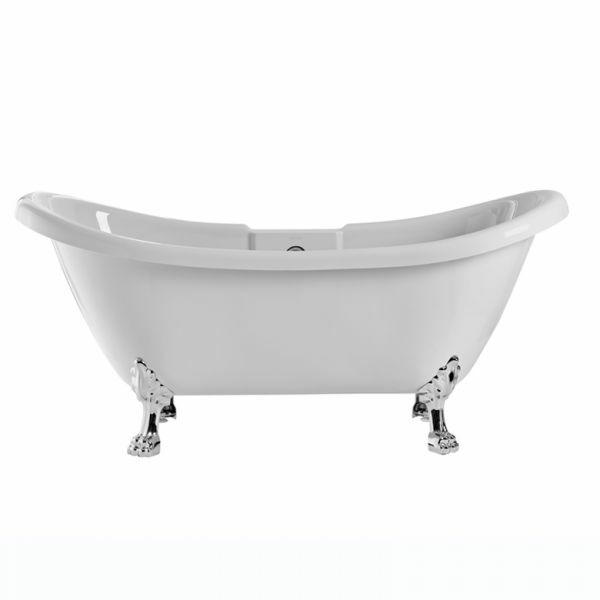 Complete your bath with your choice of bath foot finish to fit your 1700mm bath. Supplied as a set of 4. 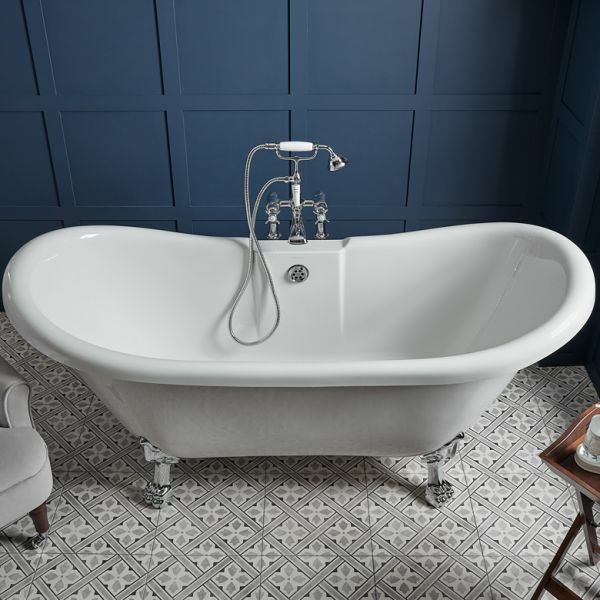 An exposed chain and waste is also available to complete the look of your Alveston bath, for further details view our exposed chain waste page.